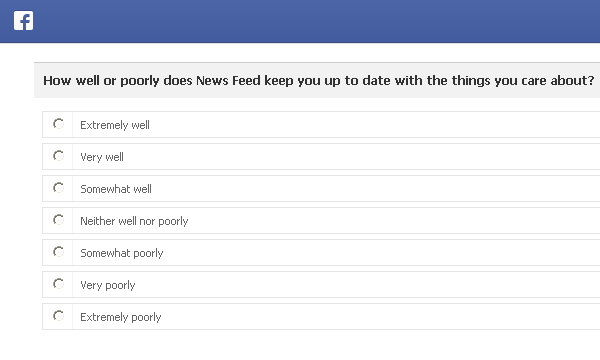 Facebook has started surveying Australian users to get some feedback on the general experiences and how we feel about the functionality on the site. 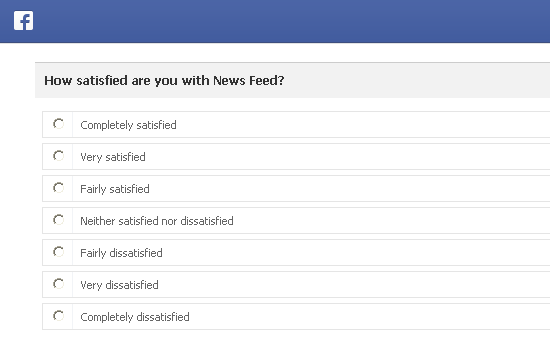 It’s clear from the questions that Facebook wants to check how we feel about the news feed, reliability of the site, and how advertisers ads are making their way into the newsfeed. Is it disrupting or annoying users? 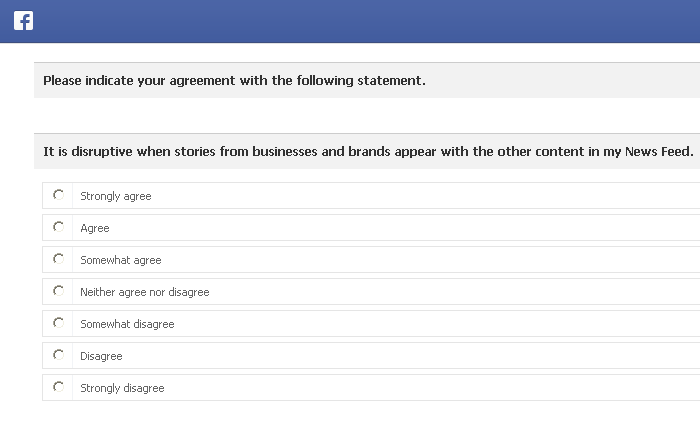 Fill out the survey and let Facebook know. 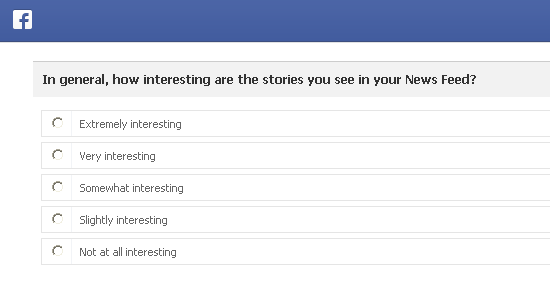 The survey link is showing at the top of the newsfeed for many users. 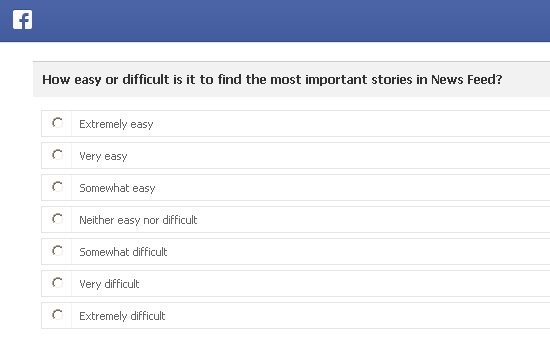 I don’t suspect Facebook show this survey to every user.